The Stark Raving Viking: US Gov Owners and Donald Rumsfeld poison US with diet sweetener? The below documentary, "Sweet Misery", starts out slow, but there is a lot in it. If only one tenth of one percent is true, we should not trust the US Government to regulate any food, or drug. We should be concerned about what is being added to our water, our food, and what medicines are approved for use. The US is a Nation with Justice and Fairness. This is the movie that Pepsi and Coca Cola don't want you to see. The toxic long-term effects of aspartame are often dismissed as a "hoax"
by the sweetener industry and at least five other Internet websites. approved for use in soft drinks and other beverages. toxicant. The ingestion of two teaspoons is considered lethal in humans"
of Applied Nutrition, Vol. 36, Number 1, 1984, p. 44). 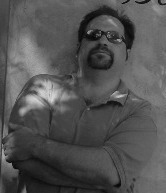 Gehrig's Disease, Graves Disease, Chronic Fatigue, MS and Epilepsy. using products like diet soda - which contain aspartame. resulted in the diagnosis of multiple sclerosis. therapies, her condition improved and continues to do so to this day. everyone has a true understanding of what they purchase and consume." Today, Donald Rumsfeld is known throughout the world as the zealous U.S. Secretary of Defense who is waging a global "war on terror" in search of "terrorists" and "weapons of mass destruction." Most people, however, are not aware that Rumsfeld himself unleashed a chemical weapon of mass destruction upon the world in 1981-and it,s still out there destroying people all over the world. That "WMD" is aspartame and it has been scientifically and anecdotally linked to millions of chronic illnesses and deaths. The evidence shows that, with full knowledge of aspartame,s neurotoxicity and carcinogenicity, Rumsfeld, as the CEO of G.D.
Searle, Co., "called in his markers" to achieve U.S. Food and Drug Administration (FDA) approval for the artificial sweetener aspartame, better known by its trade name "NutraSweet." Consumer advocate attorney Jim Turner, who was instrumental in the 1969 banning of cyclamate in the U.S. for its link to various forms of cancer, met with representatives of aspartame approval petitioner Searle in 1974. The main topic of discussion was neuroscientist Dr. John Olney,s 1971 study which showed that aspartic acid caused lesions in the brains of infant mice. According to Turner, arguably the world,s foremost authority on aspartame,s dubious legal history, Rumsfeld was apparently hired by Searle for one specific purpose: To obtain FDA approval for aspartame. Betty Martini is the director of Mission Possible, a worldwide consumer advocacy organization formed in 1992 as a voice for those demanding that the FDA reverse its approval of aspartame and order its removal from foods, beverages and medical preparations. Martini is even more bold in her charges against Rumsfeld. Martini believes the Washington insider, former three-term U.S. Rep. From Illinois (1962-1968), secretary of defense (1975-1977) and executive assistant to President Gerald Ford, was hired by Searle because, "He was willing to get a deadly chemical poison, aspartame, approved for human consumption"
In December, 1965 Searle chemist James Schlatter discovered aspartame while working on an ulcer drug. The substance, comprised of 50 percent synthetic phenylalanine, 40 percent synthetic aspartic acid and 10 percent methanol, was about 200 times sweeter than sugar by weight and had no calories. By spring, 1967, Searle began conducting safety trials in preparation for petitioning the FDA for product approval. Soon after the trials began, lab animals (monkeys and mice) began experiencing adverse effects ranging from brain lesions and tumors to seizures and death. Yet Searle petitioned the FDA for aspartame approval in February, 1973. According to Turner, Searle provided the FDA with over 100 studies claiming they proved aspartame was "safe." Independent analyses of these studies, however, proves conclusively that aspartame is actually a dangerous, neurotoxic, carcinogenic and highly-addictive drug. Trusting Searle,s promise that aspartame was safe, the FDA approved the limited use of aspartame in dry goods on July 26, 1974. Turner and Dr. Olney formally objected to the approval. Their petition triggered an FDA investigation of Searle,s lab practices which proved that Searle had provided the FDA with inaccurate conclusions resulting from manipulated data derived from poorly-designed studies. The FDA reversed its decision to approve aspartame in dry goods. On January 10, 1977, the FDA formally requested that the U.S. Department of Justice convene a federal grand jury to determine if Searle should be criminally indicted for "concealing material facts and making false statements" with regard to its petition for aspartame approval. Among the many charges FDA investigators made about Searle,s shoddy lab practices was how rats that developed tumors would undergo surgical removal of the tumors and then be placed back into the study as if nothing had happened to them. The grand jury investigation was led by U.S. Attorney Samuel Skinner. In July 1, 1977, while the investigation was being conducted, Skinner left the Justice Department and took a job with Sidley & Austin-the law firm representing Searle. The statute of limitations eventually ran out and the grand jury disbanded without reaching any conclusions regarding Searle and its lab practices. Amid this controversy, Rumsfeld was hired as Searle CEO on March 8, 1977 and immediately began cleaning house. 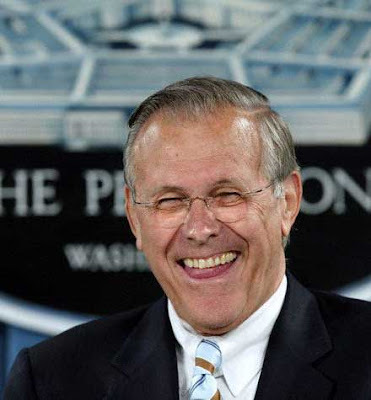 Rumsfeld, who had no previous business executive experience before becoming CEO of Searle, reorganized several departments in the company and fired many of its high-level managers, replacing them with other politically-connected Washington, D.C., insiders. Though the controversies deepened and the evidence proving the poisonous nature of his company,s product continued to accumulate, Rumsfeld and his team continued to push for FDA approval of aspartame. A team of FDA investigators headed by Jerome Bressler attempted to block Rumsfeld, et. al, by publishing what has become known as the "Bressler Report" on August 1, 1977. The report cited several instances where Searle intentionally mislead the FDA in its petition for marketplace approval of aspartame. The FDA then formed a public board of inquiry (PBOI) in 1979 to rule on the myriad safety issues surrounding aspartame. By this time, FDA investigators and independent scientists had exhaustively reviewed the Searle studies and additional studies had been conducted. There was no doubt, based upon objective analyses of evidence that had accumulated for over a decade, that aspartame was deathly poisonous to lab animals and caused a statistically significant number of them to develop tumors. On September 30, 1980, the PBOI concluded that aspartame should not be approved pending further investigation of its link to the formation of brain tumors and that the FDA "has not been presented with proof of reasonable certainty that aspartame is safe for use as a food additive." Ronald Reagan was sworn in as president January 21, 1981. Rumsfeld, while still CEO at Searle, was part of Reagan,s transition team. This team hand-picked Dr. Arthur Hull Hayes, Jr., to be the new FDA commissioner. Dr. Hayes, a pharmacologist, had no previous experience with food additives before being appointed director of the FDA. He, like Rumsfeld, did, however, have experience with chemical warfare studies while connected to the Department of Defense. According to The Washington Post, Hayes was, "one of a number of doctors who conducted drugs tests for the Army on volunteers.to determine the effect of a mind-disorienting drug called CAR 301,060," at Fort Detrick, Maryland. The Post further explained why Hayes was the perfect choice to politically force the approval of aspartame: "According to a declassified 1976 report prepared by the Army Inspector General, Hayes had planned a research study to develop the mind-altering CAR 301,060 as a crowd control agent." The report, detailing Hayes activities beginning in 1972, further indicated that Hayes was involved in similar biochemical mind control research studies until being named FDA director. One of Hayes, first official acts as FDA chief was to approve the use of aspartame as an artificial sweetener in dry goods July 18, 1981. In order to accomplish this feat, Hayes had to overlook the scuttled grand jury investigation of Searle, overcome the Bressler Report, ignore the PBOI,s recommendations and pretend aspartame did not chronically sicken and kill thousands of lab animals. Hayes, left his post at the FDA in November, 1983, amid accusations that he was accepting corporate gifts for political favors. Just before leaving office in scandal, Hayes approved the use of aspartame in beverages. According to The Post, Hayes, next job was in the private sector where he served as a high-paid senior medical advisor for Searle,s public relations firm. Within weeks of aspartame,s approval for use in beverages, cans of diet sodas and other sweet drinks were on the market. To help sell Americans on using the artificial sweetener, intense advertising campaigns began programming the public to believe that sugar has lots of calories; calories make us fat and NutraSweet has no calories-therefore it won,t make us fat. Based upon this almost universally-accepted oversimplification of biochemical reality, aspartame has enjoyed 22 years of marketplace success and is now in an estimated 7,000 to 9,000 commonly-consumed products in at least 100 countries. When Searle was absorbed by Monsanto in 1985, Rumsfeld reportedly received a $12 million bonus. Not surprisingly, the same adverse reactions seen in lab animals in the 60s and 70s are now being seen in the general population. In his first book on aspartame (1990), Dr. H.J. Roberts stated that in five or 10 years we would have a worldwide plague on our hands if we do not remove aspartame from our food supply. With the printing of "Aspartame Disease: An Ignored Epidemic (2001), Dr. Roberts declared that the world is, indeed, plagued by a global epidemic of symptoms associated with aspartame use. * Aspartame is being identified by a growing number of researchers and physicians as an underlying cause of chronic ill health in America and other countries throughout the world. * It interacts with other substances such as pharmaceutical drugs to produce adverse reactions. * All metabolites of aspartame (formaldehyde, methanol, diketopiperazine and formic acid) are toxic to the human body and are especially toxic to the brain. * Aspartame comprises over 80 percent of consumer complaints filed with the FDA. * The FDA has generated a list of 92 symptoms associated with aspartame consumption that include nausea, dizziness, irritability, insanity, blindness, deafness, weight gain and death. * The Centers for Disease Control and Prevention claim that 500,000 people each year simply "drop dead" for no apparent reason from what it labels "sudden cardiac death." * Dementia among all ages (especially the elderly) and learning disabilities among children, in the U.S. and abroad, have been skyrocketing since 1981. As of today, the number of scientific and studies showing that aspartame is, indeed, an underlying cause of chronic physical and mental illness and death out number studies proving its safety by at least 400 to zero. Proof of this fact can also be determined by what happens in many cases when people stop using aspartame: Their chronic symptoms disappear. Defense Secretary Rumsfeld was awarded the Presidential Medal of Freedom by President Gerald Ford-the highest civilian honor in America-on January 19, 1977. A few months later, Rumsfeld became the CEO of Searle to secure political approval for a product that science had proven to be a highly-addictive neurotoxic drug that causes chronic ill health, brain tumors and death. The evidence indicates that FDA approval for aspartame was a high-level political priority undoubtedly connected to its capacity to adversely effect the minds and bodies of those consuming it. Because Rumsfeld placed politics above public health and safety, hundreds of millions of people throughout the world cannot think clearly and suffer from a variety of chronic illnesses. It is, therefore, fitting that symptoms associated with aspartame use be known as "Rumsfeld,s disease." Caption: The search of a suitable picture of Donald Rumsfeld turned up this image from Portland Indy Media. Though it may seem satirical, is it? What goes through the mind of a man who knowingly poisons his own people? Only yesterday in national news we learned diet and low calorie pop will be left in schools which will poison our children. As an example, Coke Zero has aspartame. Aspartame is a chemical hypersensitization agent because it is a neurotoxic drug/chemical poison. It not only interacts with all drugs but all vaccines and other toxins and unsafe sweeteners like Splenda, a chlorocarbon poison. So our children don't have a chance. Only a few weeks ago an epidemiological study by Sharon Fowler at the University of Texas based on 8 years data links diet drinks with obesity. Aspartame also can precipitate diabetes, simulates and aggravates diabetic retinopathy and neuropathy, destroys the optic nerve and interacts with insulin. In July a 3 year Italian study was released by the European Foundation for Oncology and Environmental Sciences which revealed it causes leukemia, lymphoma and malignant brain tumors. Their July 14 05 report declares: "The results demonstrate ... that aspartame is a carcinogenic agent." How many mothers knowing this would want their children drinking an addictive carcinogenic agent. Aspartame liberates free methyl alcohol which causes chronic methanol poisoning. This affects the dopamine system of the brain and causes addiction. Now understand why the pop companies want this poison in your schools which causes Rumsfeld Disease. Neurosurgeon Russell Blaylock, M.D., one of the world's leading authorities on aspartame neurotoxicity, extensively reviewed the Soffritti report. "This study confirmed the previous study by Dr. Trocho and co-workers (l998), which also found the formaldehyde breakdown product of aspartame to be damaging to cellular DNA and that this damage was cumulative. The type of damage was a duplicate of that associated with cancers. These two studies strongly indicate that drinking a single diet cola sweetened with aspartame every day could significantly increase one's risk of developing a lymphoma or leukemia." Dr. Blaylock said further "This study should terrify mothers and all those consuming aspartame sweetened products. This was a carefully done study which clearly demonstrated a statistically significant increase in several types of lymphomas and leukemias in rats. Both of these malignancies have increased significantly in this country since the widespread use of aspartame." Dr. Blaylock also said "They found that even lower doses of aspartame could cause these malignancies, yet the higher the dose, the more cancers that were seen. Since aspartame can increase obesity and may even cause the metabolic syndrome that affects 48 million Americans, there is no reason to ever consume this product. At the least, it should be immediately banned from all schools." Any mother reading this article with children in school should immediately take this to their principal, children's teacher and PTA along with the movie, Sweet Misery, and demand that all products with aspartame (NutraSweet/Equal/Spoonful, E951/Canderel/Benevia, etc.) and especially pop with this poison be removed - period, no if's, no and's and no but's. And Board of Educations should also remove the lobbyists and those who would offer money to keep poisoned pop in schools. How much is the brain of your child worth. Remember this is the cause of the epidemic of ADD, ADHD, autism, Tourettes, and behavioral problems. Rumsfeld Disease may become one of the largest plagues in world history. The list of horrors is unending. Thanks to despicable and greedy Big Pharma/Codex, in England supplements from industry now contain aspartame. Diane Fleming still remains in a prison in Virginia because methanol was found on her husband's autopsy and they thought she poisoned him even though she passed their lie detector test. Doctors affidavits state he died from aspartame which causes methanol poisoning. Athletes like Fleming are dying because aspartame damages the cardiac conduction system and causes sudden death, although his was not sudden. Enough is enough. Eradicate Rumsfeld Disease from our schools and from our planet. personal attack or conflict of personalities when "just the facts ma'am"
them to go after the bad guys. Hey SRV,...Excellent Post, I had a rummage through your work and find it to be essential to the cause, I will be listing you at my place (no big deal) I'm sure some more folks will find your work as interesting and informative as I have.